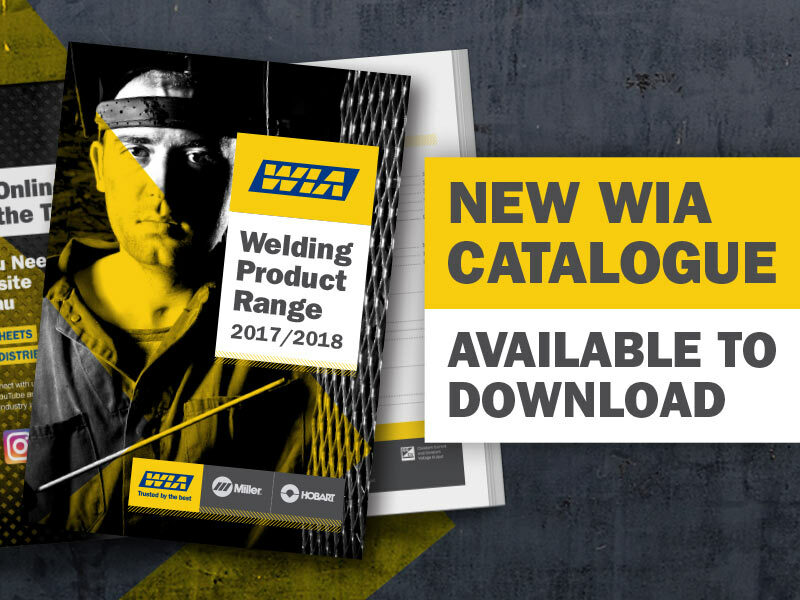 Take a look at the WIA Welding Products Range Catalogue. The catalogue features our full range of equipment, filler metals, welding safety, MIG guns and consumables, and accessories from Australia’s most trusted brands; WIA, Miller, Hobart and Bernard. Get easy access to part numbers, specifications, selection charts, written articles and videos all by navigating your way through this interactive online catalogue. If you’re looking for an Engine Driven machine, check out the Big Blue 800X Air Pak on page 36. This dual operator engine drive machine has three phase power and provides the ability to reduce running costs and lower capital investment. Need a flux cored wire? Hobarts FabCOR 86R metal cored gas shielded wire offers various productivity benefits including reduced clean up time, increased productivity and resistance to cracking in severe applications. Find out more on page 120. Also be sure to take a look at the all new ViewFX auto-darkening welding helmet on page 144. With 4 arc sensors, a large viewing area and fast switching speed, this is helmet has all the features to keep you safe while welding.